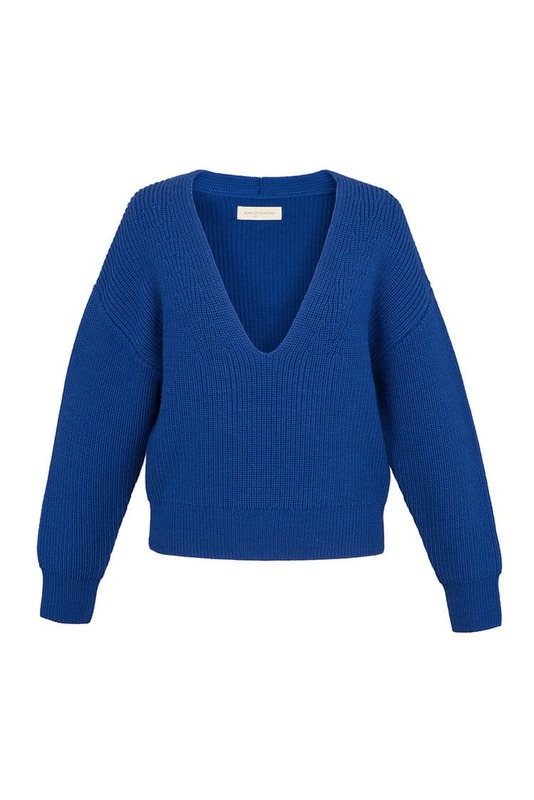 This cosy blue knitted Chunky V Neck jumper is made from softest breathable Merino Wool. Temper the slouchy fit by tucking the front into trousers. It looks great paired with our Wide Legs Striped Trousers. Designed by King & Tuckfield. Care: Cold hand-wash with similar colors, Do not dry clean.